If you are looking for a fun way to spend the day with your kids check out the Connecticut aquariums! You will see sharks, tropical fish, and many other sea creatures. 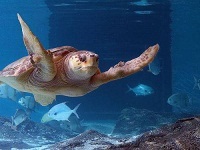 This is a great way to spend the day for adults and kids, so be sure to look at the aquariums in CT. Tired of strolling around malls and sitting in the park? Why not visit Maritime Aquarium at Norwalk in CT? For sure, you and your family will have a great time. You will enjoy the beautiful scenery and adore every sea life animal in the aquarium. The Maritime Aquarium is open from 10 am - 5 pm every day of the year except on Thanksgiving Day and Christmas Day. And in July and August, they are open every day from 10 am - 6 pm. So what are you waiting for? Visit The Maritime Aquarium at Norwalk in CT and enjoy an amazing experience with your loved ones. Be there! Are you a sea life lover? 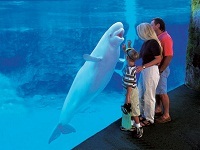 Then Mystic Aquarium in CT is the right place for you and your family. You will be amazed with all of the beautiful sea creatures that will surely make you overjoyed. From animal exhibits to deep-sea exploration, it's all worth it. The Aquarium in Connecticut is open daily except for Thanksgiving and Christmas day. They are usually open at 10 am - 6 pm. So come and visit the place and experience a moment with these beautiful creations at Mystic Aquarium in CT.